So this little guy is THE LUCKIEST little guy I know! 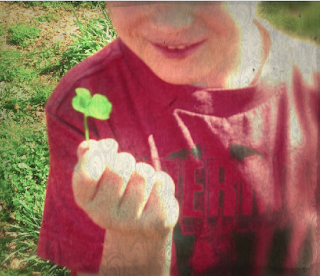 Seriously, he comes in every morning with one or two OR three four leaf clovers from his bus stop. It's like he has a radar or something! I am going to take him (or his likeness) to a casino!!! Maybe I will just rub this picture before I enter a giveaway! 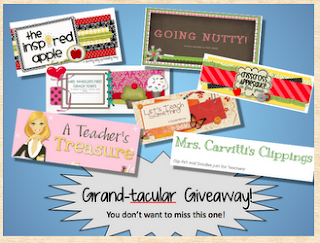 Speaking of Giveaways......Have you entered Staci's over at Let's Teach Something? It ends tomorrow, what are you waiting for? I am definitely not one of those lucky people either! haha but, I will definitely still be trying with all the fabulous giveaways that are going on! Thanks for sharing! I am going to stop by there right now! holy cow! I've never found one of those in my life--cool!! Holy guacamole! Is there some weird genetic shift happening with clovers in your area? Or is he just really that lucky? I'd be hesitant to play BINGO with your class this week. He'd take all the prizes!